When you buy a fabric, your main concern is usually the fabrics fiber content. It is important to know the difference between a natural fiber and a chemically produced fiber. They will perform very differently, so you need to choose the right fiber content for the project at hand. Equally important though is the quality of yarn used and the way it is woven. Weaving can create amazing effects and add luster to a fabric. This course explains all of these and we are going to share more learning videos as we expand this site. If you can't wait to learn more feel free to download my learning booklet from the best resources area. The booklet was created for my students many years ago. 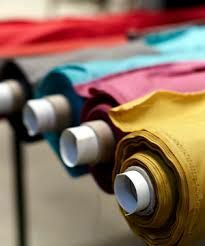 It covers all the principles of yarn and fabric production to detailed fabric analysis. Know which fabric is suited for the job and start choosing your fabric with confidence.